This wind up fibreglass measuring tape has easy to read centimetre and millimetre markings on one side and inches and feet on the reverse making it perfect for the comparison of different units of measurements. 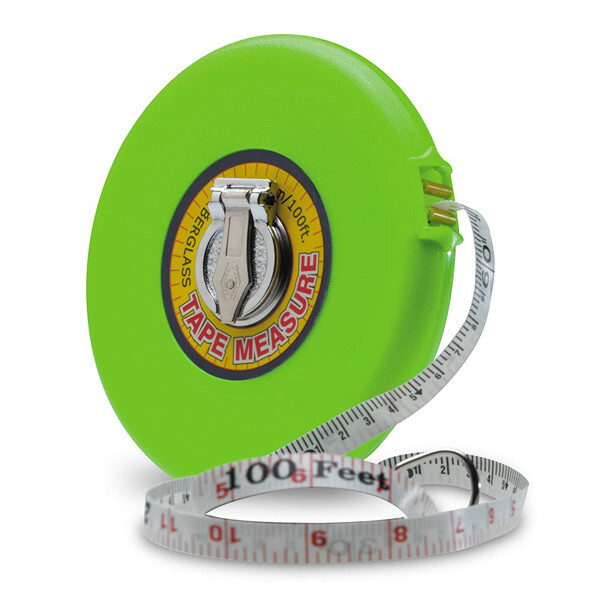 The measuring tape has a removable handle for easy control and has a durable casing for years of use. The measuring tape can be used to measure and compare the length of different objects and the flexibility of the measuring tape makes it possible to measure round objects as well as straight objects.